Experience wild dolphins, awe inspiring whales and much much more on one of our sea tours. Experience the flora and fauna of unspoilt nature with one of our land tours. 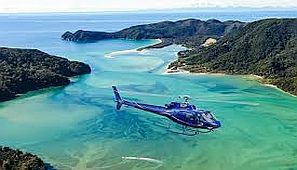 Be awed by the Marlborough Sounds from above with our air tours. World class food and wine, coupled with luxury tours of this stunning area. The Marlborough Sounds and Picton are one of the last undiscovered areas of New Zealand. 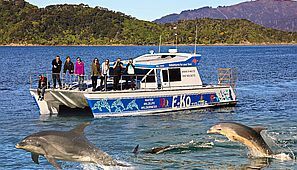 E-Ko has been running the best tours in Picton and the Marlborough Sounds on and off the water here for over 15 years, with thousands of happy customers. Unique features of the area include over 1000 square kilometres of predator free islands - great for experiencing wild birds animals in their natural environment. 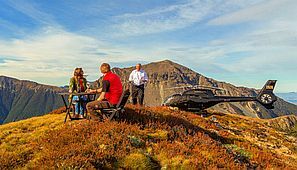 We have a team of passionate guides who love to show off our scenery, wildlife, people and more. We partner with the Interislander Ferry to schedule our tour times so that you'll never miss your ferry. If you suffer from seasickness on an E-Ko tour, we'll give you a FULL refund. We guarantee this because our tours take place on the beautiful, clear waters of the Marlborough Sounds - waters that are super calm. No one wants to get seasick, and in over 15 years of operation we've never had a guest suffer from seasickness. We are the only NZ operator willing to offer this guarantee! So be rest assured that when you travel with us, you'll never have to worry about seasickness. View our tour video's which give you a demonstration of the E-Ko experience - from stunning scenery to wild dolphins and rare birds - we pride ourselves on being able to show our guests more different wildlife species than any other operators. Our most popular experiences involve dolphins - either swimming with them (a true bucket list activity) or viewing them close up from the comfort of our vessel. 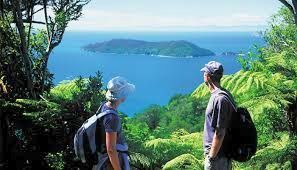 If you're interested in seeing the widest possible range of wildlife, including dolphins, then our Motuara experience is perfect, as you'll also experience the rare and endangered King Shag, but you'll also be able to get up close and personal with bird life on the predator free Motuara Wildlife Sanctuary. For those with a few hours to spare before or after their Interislander Ferry departs/arrives our short tour to Kaipupu point sanctuary is perfect as our schedules are aligned with the Interislander - so you will not miss your ferry. We are passionate about our local environment and partner with like-minded organisations. E-Ko Founder and Director Paul Keating is the chair of the Guardians of the Sounds - an organisation that ensures that "the natural environment, water quality, ecological bio­diversity, safety of people and wildlife of the Marlborough Sounds and surrounds are managed wisely both now and in the future"
Recently E-Ko was interviewed by TV One news about the declining number of King Shag birds - view the news item here. E-KO also founded the local sustainable business group - read more here.